The story of immigration to Denmark is the story of the Dutch way of celebrating the beginning of the faste, the story of a Chinese restaurant in Nørrebro in Copenhagen, the bazar in Århus, German settlers in Jutland, and a national burka count. It is the story of residency permits, citizenship, asylum centers, refugee quotas and international conventions. The story of immigration is the story of people who travel to find work, love, riches or safety. It is the story of people who are invited to Denmark to contribute with knowledge or work force, and it is also the story of the society, the rules and the natives that newcomers meet in this country. The Danish Immigration Museum’s exhibition shows a number of themes from food culture to laws and traditions. Visitors will learn how foreign traditions such as that of putting a decorated tree in your living room for Christmas and mashing your potatoes are not purely Danish but have instead been brought to Denmark from other countries by people who have settled here over the years. 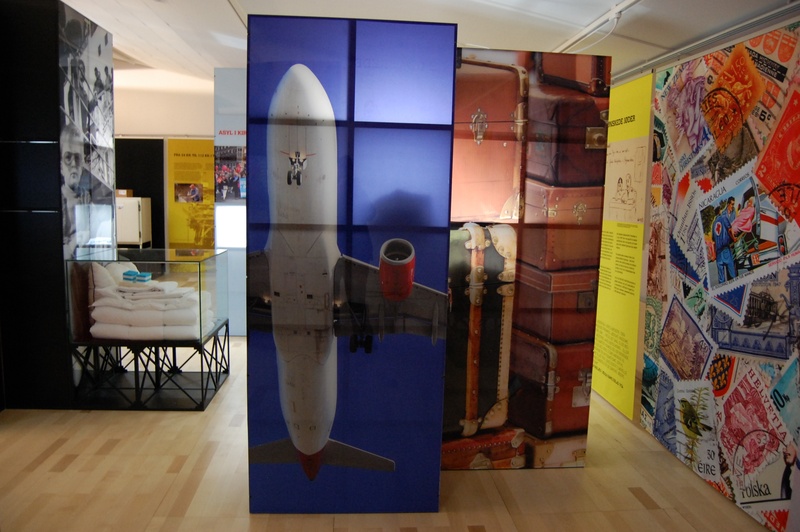 Changing exhibits shed light to subject such as refugee children, foreign lives in Denmark, and Danes in foreign countries. The Museum is situated within walking distance of the Farum S-train station with good public transport connections to Copenhagen.